50%OFFSALE*** MissManeater WILD thin bind tie side boutique bikini pant with thin frill detail *** SUPERLOW rise! The thin bind TIE SIDE boutique bikini pant, this style is SUPER LOW rise with a cheeky THIN FRILL bum detail. 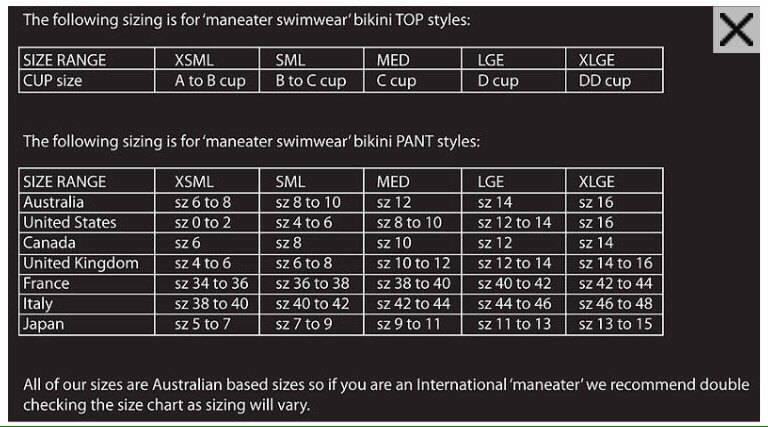 The pant is a size SMALL, please refer to our FIT GUIDE for more sizing details. 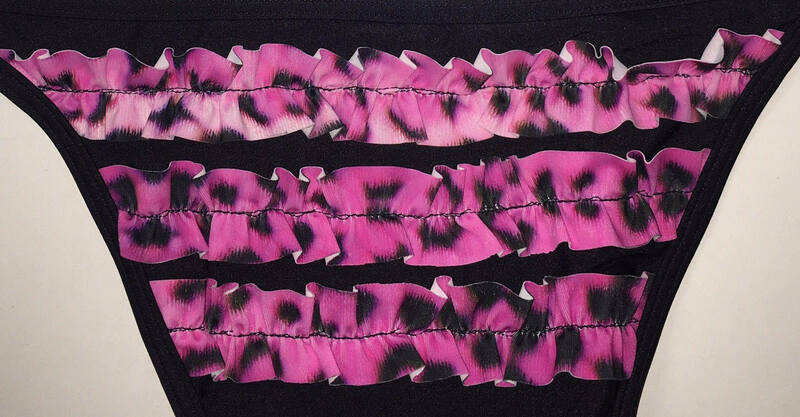 This boutique bikini set would usually retail for $80, as it is our very own DIGITAL print, you will not find this PINK animal print anywhere else! Cause we made it! We have lined all pieces with BLACK nylon lining. BUY this pant NOW as it will not last long! Its our last 2 EVER!!! You are DEFINITELY going to #standOUTfrom the rest in this unique MissManeater boutique bikini set! Now its all about how you shake your money maker when you strut your stuff!